Support — Dominion Technologies Group, Inc.
Dominion’s Training Department provides your company with state-of-the-art, application-specific training for your employees. At Dominion we offer standard and customized training programs to suit all of our customer’s needs. Training programs are targeted for operators and maintenance staff. Programs are also available for management, engineering, and quality assurance. 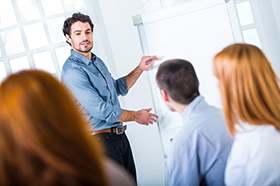 Our instructors are also well versed in “Train the Trainer” programs. Dominion Technologies Group offers field upgrades to existing Dominion equipment. With such long lifecycles, our equipment could potentially become outdated. As our engineers innovate these systems, we make that available to you so your equipment can operate with today’s latest functionality.